This year again we have noted a growing interest in Czech culture, and particularly the interest shown in Czech art by the world's most populous country. This dynamic development can be seen in the field of classical music, especially in piano playing, where the Czech artists Matyáš Novák a Jitka Fowler Fraňková have made the most recent impact in China. 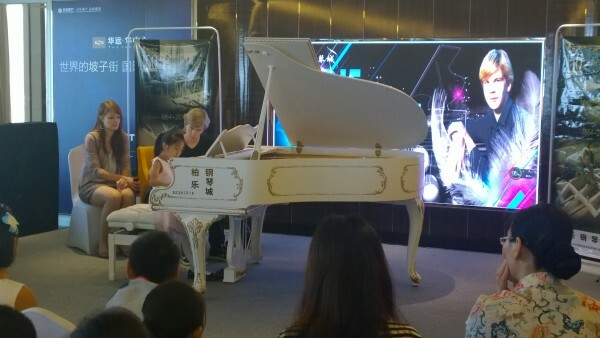 The presentation of our culture in China was undertaken by the talented Czech pianist Matyáš Novák. His two-week concert tour across China enjoyed great success. "I got to know a lot of fine people and beautiful places in China. Being able to play throughout on a splendid PETROF instrument meant I had a piece of home on the platform, which is a great feeling", commented Matyáš Novák on his tour. The young Czech talent also found time to teach some children and patiently hand on his playing skills. The great success of the tour confirms several promises of further collaboration on the part of our Chinese partners. 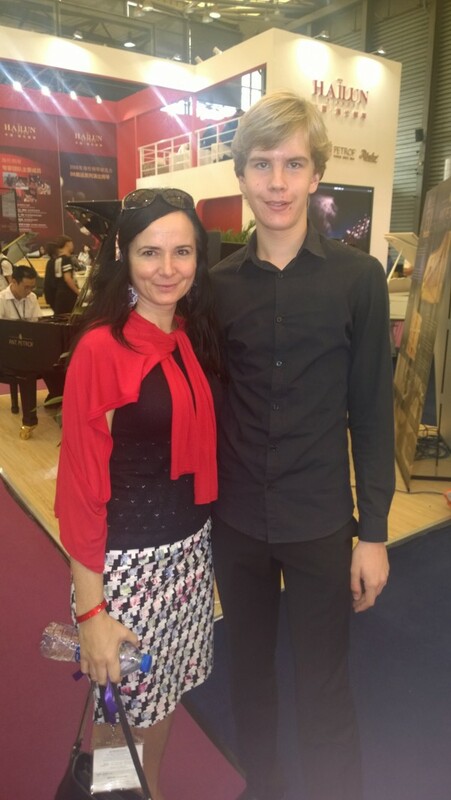 The Czech pianist Jitka Fowler Fraňková is also boosting her reputation in China. At the end of October she headed the jury of the PETROF International Piano Competition. Summing up, she said: " It was an honour to be the chairwoman of such a splendid and well-organised competition for hopeful pianists". Over three months around 1,200 children took part. An international jury selected the top thirty from a hundred finalists. They will be awarded a trip to the Czech Republic, where they will take part in several musical events. The great interest in concerts by Czech pianists is long-standing. In March 2015 the duo of Jana Chaudhuri and Igor Ardašev sold out the biggest theatre in China, the Poly Theatre in Beijing (article here). In spring 2016 Matyáš Novák will also perform there. 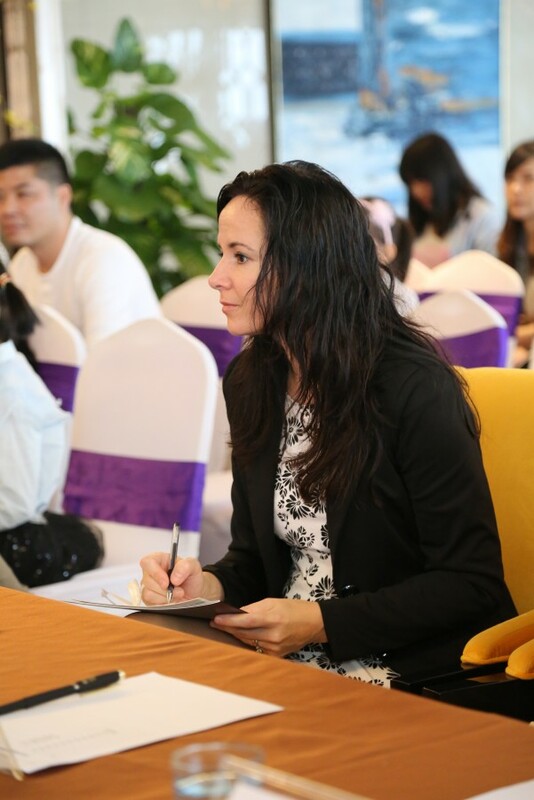 Besides these events there is also great demand for first-class European music teachers: Chinese youth, being highly motivated, responds favourably to the efforts of Czech artists. The Chinese government realises this demand and has promised greater support for musical education. At the same time there are projects aimed at popular cultural education. The first of these were the exchanges and performances of Chinese and European army orchestras. This kind of event works particularly well in Germany. Most Czech military ensembles have been disbanded in recent years, but the gap could be filled with children's orchestras, which are hugely popular.